When I started this blog, I promised myself that I’d always be real here. About myself, my life, my goals, dreams and failures. Then, I got caught up, as usual, censoring myself. Worrying about who would read it, what if it was someone from my off-line life and they got mad, or offended, etc. I got so caught up in that, I nearly stopped blogging completely again. Instead, I’ve been keeping a journal, but I have to admit, I really don’t get the same kind of satisfaction from it that I do from blogging. The truth is, I don’t blog with the intention of hurting, embarrassing, public shaming or anything like that. 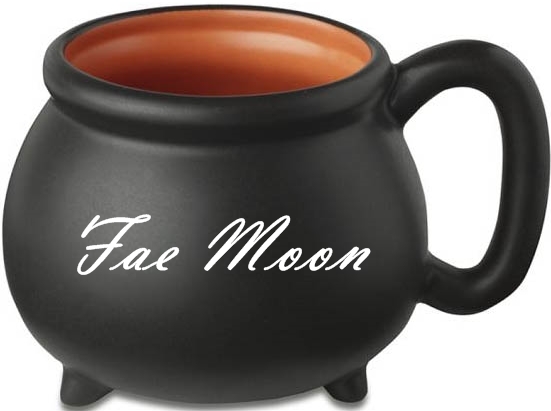 It’s one of the reasons I write under a pen-name (you didn’t really think my name was Fae Moon, did you? ), although there are a few people in my life that know about this blog. But, I do have problems, just like everyone else and I’m one of those people that can often work out their problems by writing about it. Sometimes, I even see that I’m wrong or over-reacting when I write. That being said, I’ve been in turmoil for a while now. Since my mom died, I have felt as though my life has fallen apart, attempted to rebuild, and fallen apart again, repeatedly. I keep telling myself that it is all a part of whatever the Goddess and God have planned for me, that there are lessons to be learned, etc, and I’m sure that’s true, but in all honesty, it’s been hard and quite painful and I have been experiencing a bit of a crisis of faith. Having people reenter my life, who were unaware of my spiritual beliefs and largely unfamiliar with Paganism in general, has caused a need to define my beliefs in ways I never had before. There have been questions that I’ve struggled to answer because of the shaky ground my faith was on after my mom’s passing and also because I’d never been asked to define my beliefs. As I always say though, nearly every situation in life holds some kind of lesson and it’s taken me a while to figure out what that one was. What I learned in months of retrospective thought, was that my beliefs are very fluid. Maybe it’s the Pisces in me, maybe it’s the constant effort I make to remain open-minded, but whatever the cause, my beliefs, especially when held side-by-side with another religion, are ever-changing. It’s one of the reasons I’ve always considered myself “eclectic Pagan”. My beliefs shift and flow with new perspectives, new information, my lifestyle choices and my view of the world around me. My personal life experiences also alter my beliefs. I suppose I see my spirituality in varying shades of grey, rather than in black and white. Very little seems to be barred from this ebb and flow, but there are a few things that remain constant with me. I do believe that all gods are one God, regardless of how you choose to express it or what name you give it. God and Goddess to me are simply expressions of the Divine Masculine and Divine Feminine found in all of life. I tend to lean towards “Goddess Worship” simply because I am female and seem to naturally be drawn to the feminine side of things, as is evident in my life of what is considered the more “feminine arts”, like Domestic Witchcraft. Part of the reason I put my clergy classes on hold was because of the spiritual crisis I was dealing with. It seems that for years, everyone I knew who was Pagan, looked to me to be some kind of spiritual leader in their lives. I chose to take the classes in an effort to fulfill that role, but it was a role I never asked for, and truthfully, never really wanted. After doing some soul-searching, I have decided that I will eventually start taking some classes again, but I will not be taking clergy classes. There were a number of classes that appealed to me, such as herbalism and totem spirits, but being a spiritual leader isn’t my path. I see that now. I think I prefer the quieter, more personal, and practical, practices. I’ve come to the decision recently in my life in general, that I often cannot be what other people seem to need me to be. I can only be myself, complete with flaws and idiosyncrasies unique only to me. I’ve grown tired of attempts of people-pleasing since I seem to rarely please anyone, including myself, by doing it. The things that matter most to me are my home, my health and my little family. I’ve come to realize recently that I need a lot less than I once thought I did. Right now, my focus needs to be on me, not on everyone else and what they need from me. If I can’t take care of me, then I sure can’t take care of anyone else. This has led me to ask myself what is important to me and my own growth. One of the things I’ve recently examined was this blog and the Facebook page for it. I debated on if I should continue it or not and after a lot of thought, I’ve decided that whatever else it is, I do get something from it on a personal level. Having somewhere to talk out what’s in my heart and head is important to me. Having somewhere to discuss my life and the things in it is important to me. Call it free therapy if you want, but there is a healing quality for me in writing. It does help me sort out my thoughts and feelings, and often it helps me see things more clearly than I do without it. So, hopefully I will be here writing more than I have been. I’m not sure what direction it will take other than me just sharing my life and for now, that’s enough for me. It’s been a while since I’ve been able to post. Honestly, it’s been a while since I really had time to do much writing. Our granddaughter, Squishy, was born on March 5th, 4 days after my 39th birthday. Witchlet popped her out in about 20 minutes like it was nothing and I watched the whole thing. Squishy is amazing and Draco and I are completely in love with her. We are finally living in our RV and it’s been a massive adjustment for both of us. The amount of room available had been its own adjustment, but it hasn’t been the only one. If, like us, you’d never really spent time in a camper, you might not be aware of the fact that day to day living is a bit different as well. While we’ve work endlessly on the plumbing, we’ve come to realize what a commodity fresh water can be. Propane is our only way to heat the camper and our main way of cooking. It has become another commodity that I watch closely after spending a few barely over 20 degree nights without it. Cooking takes more planning than it once did because of space. Prep-work really does need to be done in advance so you have room for the actual cooking process. There are also various buttons and switches to become familiar with. A whole set of them tells us how our holding tanks are fairing, another turns on the water pump, a crank on the ceiling raises and lowers an outdoor antenna…it’s a lot to learn. I’ve also learned some about our plumbing, gas lines and hook-ups and holding tanks. It is a simpler life in some ways, but vastly different than anything I’ve done before. As for right now, I’m going to enjoy the fruits of Draco’s labor and soak in a rare hot bath. Life is full of them, I suppose. Honestly, I guess I should be thankful that it wasn’t worse. I haven’t said a whole lot publicly about the living situation we were moving out of to move into our camper. In truth, I did that on purpose. This was the second time we’d lived with this person and the first time, other than a few issues with feeling like my privacy had been violated, things were pretty good. Going back the second time turned out to be quite different and neither Draco nor I were very happy being there. That was part of the reason why we were planning to move out. Last week, in the middle of a snow and I’ve storm, she texted me saying she thought it was time for everyone to move on. While I agreed with the sentiment whole-heartedly, we were due to get our taxes last week as well and would have been leaving soon anyway. Something she knew. Her timing was obviously intentional and instead of having the camper in the back yard last weekend and possibly being ready to move it this weekend, we have instead been sleeping on an air mattress in Witchlet’s living room and my camper is still sitting. Hopefully our second check will arrive this week like the website says. I was finally able to make arrangements with my Aunt to pull the camper to her house to get it park-ready so I’m hoping we’ll be able to move it this weekend n not have to keep staying here. Even if I’m in someone’s yard, at least I’ll be home. 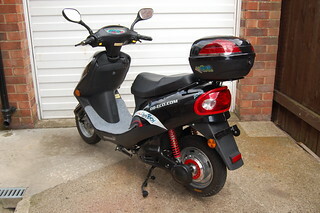 I think I mentioned it before as well, but Draco and I have decided to get mopeds and give up our car. We just can’t afford it anymore. I’m actually looking forward to it and with the temperatures reaching 70 degrees today, I’d love to go for a ride. Unfortunately, because I still have to get my stuff moved to the camper, I can’t give up my car just yet. That about sums up what’s been going on around here. I’m having to do everything from my phone right now though so I’m not sure how much I’ll be blogging until we get settled. Oh, I did get Witchlet and her mate into experimenting with regrowing from scraps. She currently had 2 heads of romaine lettuce, celery, garlic and onions going. I’m so proud! This whole thing with the RV has had me nervous. Yes, we’ve been making the payments and we’ve now filed our taxes, but we were still unsure about a lot of things, like how the hell we were going to get it moved from where it is to where we are so that we can do the work we need to do to it. The search for a truck big enough to haul the camper within our price range has not gone so great. I’ve been worried about gas mileage in a truck as well since it’s already costing me an arm and a leg to get Draco back and forth to work in my car. I’ve also been concerned about the safety of having Wee Witch’s car-seat in a truck. Would our insurance go up? Do we even have to cover it? All that and more. I’ve managed to find solutions to most of the questions this morning, and I’m thankful that it seems like everything is working out well. I found out that our local Home Depot rents trucks, so I will simply rent a truck from them to move the camper when I need to move it. That means that I can find a car, which will be cheaper, better on gas and will have a true backseat for the car-seat. insurance because my liability insurance should extend to cover the camper when we’re moving it. All of this is great news to me. Also, this past weekend was Tiger’s birthday party and we went down the day before and spent the night. While we were there, conversation eventually turned to the camper and our plans for that. We got to talking about me wanting to learn to can and all of that. Tiger, apparently, has canned before and knows at least SOME of what she’s doing and said that she wants to start doing it again, too and suggested I come to her house to do my canning and we’ll do it together! That means I may have to transport stuff back and forth to her house when we’re doing it, but I won’t have worry about how to set it up in my limited space in the RV! I guess this is what the Goddess means for us to do. Every time I think there is a road block we can’t get around with it, a solution presents itself to whatever the problem is (so far anyway). The tax check should be here by the end of the week, so by next weekend, I should have the RV sitting in the back yard with us living in it while we get it ready to go to the park. keep us from feeling trapped at home all the time. It looks like this is really going to happen (although I’m a little worried about the weather at the moment and how that’s going to effect us getting the camper over here…they say a major winter storm is supposed to hit us tomorrow and it’s going to get bad from then till Thursday). I’m nervous and excited all at the same time and wishing like crazy that the check would hit before the weather does so I’d at least have my house here before it starts. So, that’s what’s going on in the Tiny Hearth at the moment. Are you being impacted by the weather where you live? So, what’s a girl to do when her man wants to curl up with the remote, a beer and root for his favorite team? Cook! didn’t want to spend the whole day prior to the game cooking my buns off. Since it’s only going to be the 4 of us, I decided that I’d seriously down-size what I was making. Here’s what’s on the menu for tonight. dip and Football bites, I’d just do a simple batch of muffins. 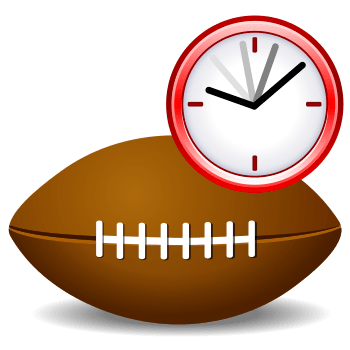 Next year, I intend to plan a little further ahead (with all the stress over moving soon, I completely forgot the big game was this weekend) and I’ll add my football favorites back to the menu, but this year’s game is going to be simple and easy. 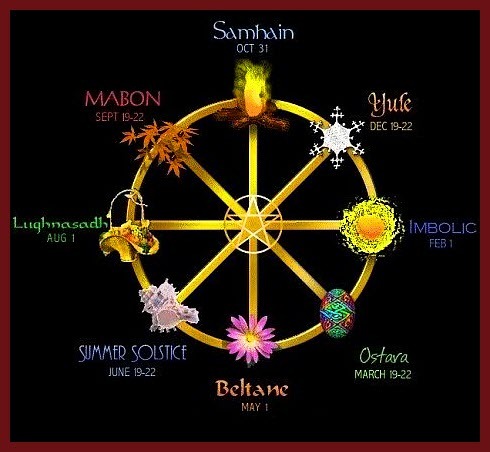 Imbolc for me, is a time to honor my kitchen deities and to make sure the flame of our hearth and home is burning brightly to carry us out of the darkness of our winter slumber. Here in the south, winter isn’t done with us yet by any stretch of the imagination, but I can see little tell-tell signs in the world around me that underneath the cold, the goddess is hard at work preparing for the coming season of growth. This year will see many changes in mine and Draco’s lives. In a few short weeks (if not before), we will become grandparents for the first time and I can feel myself preparing to embrace the role of Crone within our family. Relationships are shifting and changing, most unknown to those involved. A new light of respect has entered the eyes of my only child when she looks at me. An understanding that was never there before often passes between us on the energy waves that have always washed between us like tides upon a shore. I can see her mentally and emotionally shifting from maiden to mother as her body changes around her to accommodate the precious life she hides within and I cannot express my joy that she is going through this change at this time of year. Of course, it has not escaped me that my only child will be giving birth during a time of seasonal birth. Our Wee Witchling will arrive on the spring breeze as the world awakens around her. We will also be making the transition from our little bedroom here in the roommate’s house to our own tiny hearth. I can see some of the struggles we will face already looming on the horizon. As I stood yesterday looking at what will soon become our home, I thought about the amount of work that is going to be involved in getting it ready. It’s 30 years old, and is starting to look it and the list of things we need to do is only comparable in size to the things we want to do. I know that for a few weeks we will be so busy with the transition and preparation that there won’t be much time for anything else. In spite of all of that, it’s a transition I’m looking forward to. It’s something we’ve discussed for years and just never saw it as practical. Now, it’s not only practical, but about to become our reality as well. I feel that in some ways, it is fitting that we’re making such a large transition at this time of year. Spring is right around the corner and I couldn’t imagine a better time to be involved in our own new beginnings. I doubt that there will be a lot of spiritual fanfare this year since we’re in such a limbo state at the moment, but I feel that the gods see us here, They know what is going on in our lives and they know that our practices will be running behind (I’ll still be dedicating our hearth fires, just a little behind schedule). What are your traditions for celebrating Imbolc? As many of you have probably heard already, the deep south was hit with a winter storm yesterday that paralyzed several states as it made its way across the south. Draco and I live in one of those states that are unaccustomed to seeing much winter weather. Yesterday evening, I made the (normally) half hour trip to take him to work. It took me almost an hour to get him there and more than that to get back home, amid ice, snow and sliding cars. Making the trip back to pick him up at 4:30 am was even more treacherous. There wasn’t as much traffic, but there were cars off the side of the road everywhere and black ice covered almost the entire stretch from our house to his work. This morning, the sun is shining and the world is beginning the process of melting off the winter cloak that we see so rarely in the south. If I had a decent camera on my phone, I’d have taken some pictures, but a good phone is one of the many things awaiting the tax return check. It’s hard to believe that Imbolc is right around the corner. I’ve been trying to pin myself down to write a post about the upcoming holiday, but it’s been so cold that it’s hard to think about warmth right now and the post has sat undone so far. I’m hoping to get it up before the holiday since I know we will be celebrating it in our own way, cold or not. For today though, I believe it will sit yet again as I watch my world thaw and recover and hopefully I’ll be able to “get in the zone” to write it before the weekend. I hope you are all safe, warm and happy. There are two times of day when I usually sit down to blog. Early day before Draco gets up or late at night while he’s at work. I usually don’t write much on his days off because that is the time I devote what I am most passionate about in life, my family and good food. But, that doesn’t mean I can’t blog while he’s at work and schedule it for the weekend, right? Half the house, is day shift, the other half is night shift. Of course, Draco and I (along with Chicklet) fall on the night shift side. That means that I’m often the only person awake, especially late at night. So, what is a lonely housewife to do in the middle of the night when her man is working and the rest of the house is sleeping? Apparently, she watches a horror movie and scares herself silly, then sits down to blog to try to take her mind off of it and ends up blogging about it instead. through. I had no idea that B owned it until I saw her and BF watching it earlier this evening. (I really must raid her movie collection and see what other jems she might be hiding in there.) Now, when I pass a reflective surface in the house, I’m refusing to look at it and every creak and crack is making me jumpy. 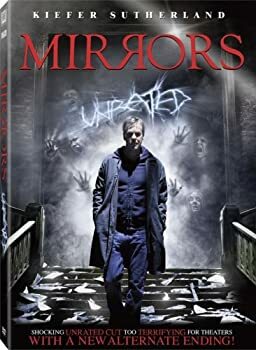 I actually had my own experience with a reflective surface some years ago, and it’s a story I would normally blog about around Samhain (Halloween for you non-pagans out there), but watching this movie got me thinking about it tonight, so I figured since I’m already creeped out with time on my hands, why not finish off the job? Witchlet was 13 when I had my experience, I remember that clearly because it was the same house we lived in when we celebrated her 13th birthday (a big deal in our house), so it was around 2006, I suppose. The house we lived in at the time was pretty old. Our landlady had grown up in the house and she was in her 70’s back then, so I know it was at least that old. We noticed not long after we moved in that the house just felt down-right creepy at times. We all noticed it. Our family and friends commented on it occasionally when they came to visit and for us, it quickly became almost daily. Especially for me, because I was home alone a lot because Draco worked out of town during the week at the time. Even with him out of town, and the house feeling creepier by the day, we tried to have some normalcy in our lives. Dinner time was one of those times. Even though he was hours away, we sat down to eat at the same time every night and talked on the phone through dinner and sometimes on into the evening. This particular night, we had just finished dinner and I was sitting alone at the kitchen table still talking to him on the phone. I had nothing to do other than sit there, so I was idly looking at the reflection of the kitchen in the kitchen window, which didn’t have blinds or anything on it. You know how when it gets dark outside and you have a light on, the widow becomes like a mirror, and you can actually see pretty clearly in them. I had a clear view of myself at the table and the room I was sitting in. While we’re talking, I guess I was just kind of looking around the kitchen, at nothing in particular, but movement in the window caught my eye and I looked up. Very clearly, right behind me, was a man looking back at me. According to the reflection, he would have been standing pretty much right at my back behind my chair. I saw him so clearly that I believed there was in intruder in the house. I jumped up from the table and spun around to confront…nothing. Absolutely thin air. There was no man there. I frantically searched the house, checking all the windows and doors (which were all closed and locked from the inside, by the way) and I was just as alone in the house as I should have been. Only I still believe I was really alone in that house. I don’t think I ever was from the day we moved in until the day we moved out. That is just one story from that house. There are more, including another sighting of the same man in another window in broad daylight while I was outside hanging laundry on the line. He was standing in the window, inside the house, looking out at me. Of course, with everything that happened in that house, I approached my landlady and asked her if she’d ever seen or heard anything when she lived there, or since then. She got quiet fast and never really gave me a straight answer on the subject, which makes me think she did have something (or maybe quite a few somethings) happen when she was in that house, and she didn’t want to tell me. We lived in that house less than a year. When another rental of hers came open close by, we moved out of a nine room, 3 bedroom house and into a run-down 2 bedroom trailer just to be out of it, if that tells you anything about how we felt about the place. So yeah, my movie choice tonight was probably a pretty dumb one considering all that, but I have to admit, I’m a horror movie buff for a reason. Part of me likes to be scared. Kind of like an adrenaline junkie, I guess. Draco and I have been together for nearly 18 years. One day soon, I intend to start working on the series included under the About Us page called Our Story, but for now, let me explain why we are choosing to move into such a small space. Over the years, I think Draco and I have lived in just about every living situation you can imagine. The only thing we haven’t done, is bought something of our own. We’ve rented, lived with roommates, lived with family, and at one time, we even shared a home with 2 other families. For some, sharing space is a wonderful and economic idea. Shared housing expenses (if everyone pays like they’re supposed to) means more money in your pocket, but, sharing space with other people, no matter how much you may like or love them, is never easy. There will often be conflict or drama of some sort, no matter how hard you try not to get on each others nerves. Draco and I both have very dominant personalities. We’re used to ruling our own roost (although we have lived with others over the years, more often than not, we’ve rented a place just for our little family). We’re both 40-ish and becoming set in our ways. It’s not as hard to get under our skin as it once was. We’ve been living with a girl who we’ve known since she was 16. She’s now in her 20’s, and a mother, with a live-in boyfriend. Our niece, Chicklet, also lives here and currently, her wife, Miss Nasty (a running family joke said lovingly), live here too. That’s a lot of people, and a lot of personalities in one space. We decided when B’s boyfriend moved in that we needed to get our own place, our own space, once again. The shiny of living with others has worn off and we’re ready, but let’s face it, Draco just changed jobs (and took a $2/hr pay cut ~ even though we consider it worth the cut), and renting a place is expensive these days. Chicklet happens to have some friends that were living in a camper out of necessity a few years ago. Since then, their situation has changed and now the camper sits defunct in their front yard gathering dirt and dead leaves. I approached them a few months ago about their willingness to sell. They quickly agreed, quoting a price that Draco and I felt was worth it and the deal was made. 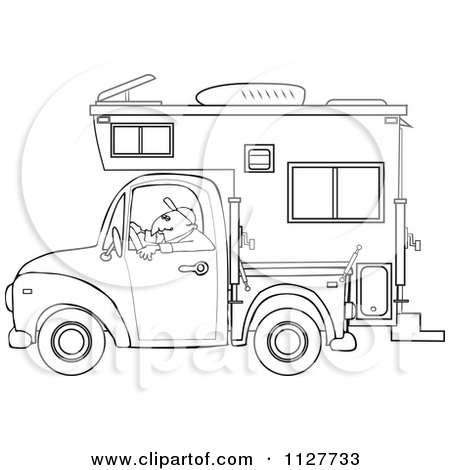 Now, as tax season quickly approaches, we’ll be paying off the camper and begin the process of remodeling it (most of which will occur while we live in it). We will be moving into it as soon as we’re certain that things are “fixed-enough” for it to be livable. We will be moving it about 20 minutes down the road to an RV park in the town where we lived with my parents when my mother was dying. In all honesty, living with my parents while my mother was passing was one of the hardest living situations we’ve ever experienced, but, we actually liked the town we lived in at the time and the thought of moving back there stirs something akin to a feeling of “going home” in both of us. The camper will be ours, free and clear after we get our tax money, so we will have a home that no one can take away from us. It will be ours. No payments, no debt. Every penny we put into it will be an investment in ourselves and not someone else. The expenses of living in a camper are going to run us about what we pay here, sharing space with two other families, except we’ll have our own space and we’ll be about 10 minutes from Draco’s new job. I know that we will face challenges as we adjust to living in a small space, which is partly why I decided to make this blog. Now, I have somewhere to talk about the challenges, and how we over-come them, or somewhere to vent if I get frustrated. Over-all, Draco and I are both very excited about moving into our small space and we will most likely call it the same thing we call the blog. Our “Tiny Hearth”. Have you ever lived in a home with multiple families or in a “tiny hearth” of your own? I don’t make New Year’s Resolutions, but I do take the time to think about the types of energies I want to try to focus on most in the coming year. This year, one of the main things I wanted to work with was gratitude, or “an attitude of gratitude”. I wanted to try to focus on finding at least one thing in each day to feel grateful for, no matter how small or insignificant. These posts won’t be scheduled for a particular day. I’ll post them when I have free moments and an “attitude of gratitude” or maybe just a stray thought hits me. 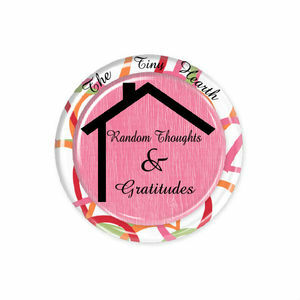 Today, I’m sharing one of those “little thing” gratitude moments. I spent what felt like most of the day in the car. Up at 5 am picking up Draco from work, out at dinner-time picking up Witchlet and taking her to her doctor’s appointment. Back to pick them up and run Draco to work, them home, then back home myself. On the ride home, I was exhausted. My brain has been in overdrive it seems like for months now and I just wanted a few moments out of my day when I didn’t really have to think, talk to anyone, or do anything except drive the car and maybe listen to the radio. It doesn’t happen often, at least not for me, that I turn on the radio and immediately hear the first strands of a really good song. Usually, as luck would have it, the song is almost over and the rest of what you hear for the next 15 minutes (at least) is either crappy, or stuff you’ve never heard before. Today, it happened for me. The very next song is Puddle of Mudd ~ She Hates Me, which was popular when Draco and I were dating. Those two were great, but just as I was getting close to home, I hear Stone Temple Pilots ~ Plush, also popular when we were dating. I was in music heaven! Granted, I know to some of you, you’ll probably think they’re a little less than hearts and unicorn farts, but it’s music that I love just the same, and hearing 3 songs I really liked at the end of a long day, was a moment worth a little gratitude because of it’s singular rarity! Hope you enjoyed my Random Gratitude for today. 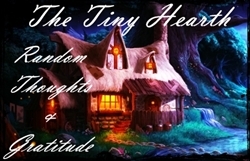 Welcome to The Tiny Hearth! I am a wife, mother and grandmother who happens to be a Pagan living in a very small space. My husband and I live in a RV, but home and family are still the most important part of our lives! I love to cook and make homemade products for our family. Enter your email address to follow TTH and receive notifications of new posts by email.